Cultivating the next generation of conservation heroes! 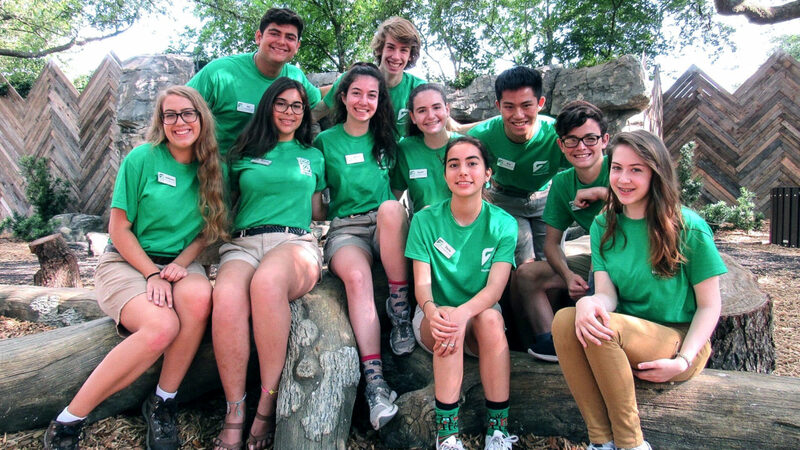 The Houston Zoo Teen Programs seek to inspire teens to problem solve ways to save animals in the wild and empower them to influence others to take action. By providing teens with opportunities to act, these programs will instill and foster a sense of care for the environment, which will inspire them to become lifelong advocates for all wildlife both locally and globally. Describe how their personal actions may positively or negatively affect wildlife. Develop and apply effective skills to take action to reduce threats to wildlife. Be confident to teach others about the natural world and motivate them to take action to reduce threats to wildlife. Recognize the range of careers that support saving wildlife. Apply critical thinking skills to understand issues threatening wildlife and generate solutions. Develop teamwork and communication skills to work with others towards saving wildlife. What are the minimum hour requirements? There are no minimum hour requirements, but there are day or week requirements based on the section you are working in. When will we find out if we’ve been accepted? All applicants will be notified of their acceptance by April 28. Do we need to submit letters of recommendation? No, letters of recommendation will not be needed for the application. What kind of training will we receive? You will be trained on safety, guest service, and working with children. There will program specific training based on the section you are working in. We will let you know what the training schedule is when you receive your acceptance letter. I can't commit that much time, but I still want to be involved in the Houston Zoo. What other opportunities are there for me? I will be turning 18 this summer; can I still participate? Teens must be no older than 17 during the time they are participating in Zoo Crew. You will want to schedule the weeks that you participate during the summer before your 18th birthday. If your 18th birthday occurs after the summer during the year-round program, you may participate up until you turn 18. When you are 18 you can become an adult volunteer or apply for an internship.